The Electricity Supply Corporation of Malawi (Escom) has expressed concern over increasing cases of encroachment into its electricity transmission and distribution corridors known as wayleaves. Escom says organisations and individuals are encroaching into wayleaves by putting up structures or planting trees, contrary to provisions of section 41 of the Electricity Act (Cap 73:01) of the Laws of Malawi. Responding to an emailed questionnaire, Escom’s public relations officer Innocent Chitosi pointed out that planting of trees, dumping of rubble, and cultivating under and within the wayleaves without prior approval of Escom is prohibited by law. Chitosi warned that while it is unlawful to encroach or trespass into the said wayleaves, it is also a safety and health hazard to do any development under these high voltage lines because in cases of something happening to the overhead lines, there is a risk of catching fire, sustaining personal injuries, danger to life and property. 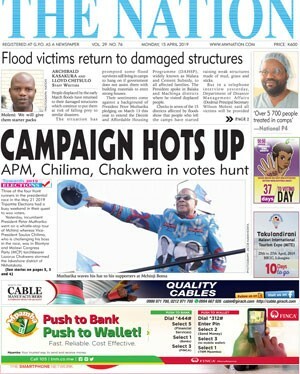 The warning comes hot on the heels of an incident that occurred last Sunday whereby three men lost their lives after a ladder they were using to replace Shoprite banners fell on an overhead 11 000 volts power line at Chichiri Shopping Mall in Blantyre. He further warned that the corporation will prosecute anyone who violates this requirement and in cases of accidents, will neither be held responsible nor liable for any losses. 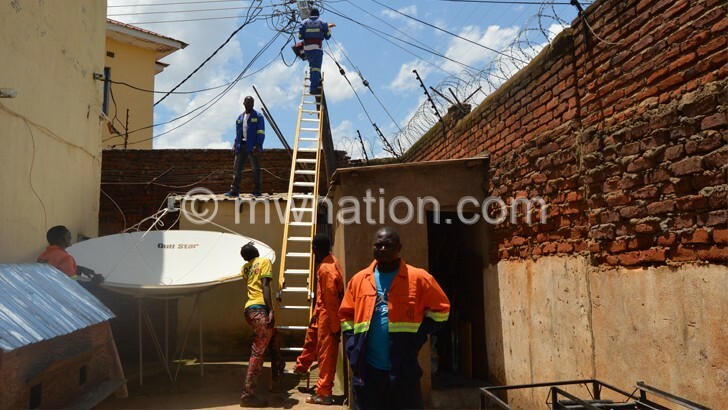 “The public is further reminded that Escom will not entertain any requests from encroachers and/or trespassers to re-route its power lines,” he added. According to Blantyre Police Station spokesperson Augustus Nkhwazi, the body of the three, identified as Harold Chisakasa 30, Kriswell Jenda 25 and Cromwell Billiati 29, have been taken to their respective home villages for burial. “The three, were said to be labourers who used to camp around the area looking for piece works. They had been hired to replace the banners by William Mauya of William General Maintenance whose firm carries out maintenance work at Chichiri Shopping Mall in Blantyre.The contractor facilitated coffins, transport among other arrangements,” said Ngwazi. He further said postmortem results conducted at Queen Elizabeth Central Hospital revealed that they three died due to multi-organ failure due to electrocution. The condition of the lone survivor Victor Namweto is said to be improving for the better.